The real estate market has rebounded in 2019 with home prices rising along with rising mortgage rates. Many home buyers are finding that because of the hot home buying market they are spending more than they planned. A third of home buyers blew through the upper limit of what they planned to spend, topping that cap by an average $16,510, according the most recent home buyers market survey of Americans who purchased a house within the last four years. The main reason? Smaller inventory of existing homes and rising prices. Home buyers are exceeding their budgets to purchase their dream houses. Nick Santoro says that “we’re in a strong market with home prices rising,” especially for starter homes. Many houses on the market are drawing multiple offers, forcing buyers to bid up. In addition, mortgage rates that were recently under 4% are now over 5% and climbing. In January, home prices nationally were up an average 6.2% from a year earlier. Prices have risen nearly 50% from their 2012 bottom. Supply shortages, combined with a healthy job market that’s fueling demand, are blamed for the recent price run-up. Many house hunters who set a price range in their mind when initially looking for a home now think little of going beyond it to be closer to work or in a desired neighborhood. Millennials are most likely to splurge, with 40% going over budget and by $24,545 on average. 34% of Gen Xers raced past their limits, by $13,096 on average. And 19% of Baby Boomers topped their spending parameters, by an average $8,024 according to the national association of realtors. Millennials are most likely to go over budget because they’re first-time home buyers and the least knowledgeable about setting a realistic price target and meeting it. Gen Xers had Boomers are progressively savvier. Nick Santoro says that supply shortages and sharp price increases are most acute among the starter homes Millennials favor. And, he says, young adults may feel more urgency to buy a house because they’re living with parents or renting. Members of the other age groups, many of whom already own homes, can simply stay in them until they find something close to their price range. 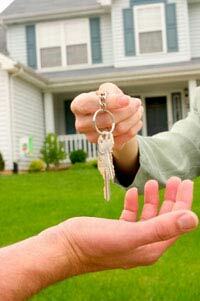 So, if you are searchingfor a home, give us a call and we’ll be happy to help you in any way we can. For more insights, tips and videos please visit our Resource Page in the About us tab.